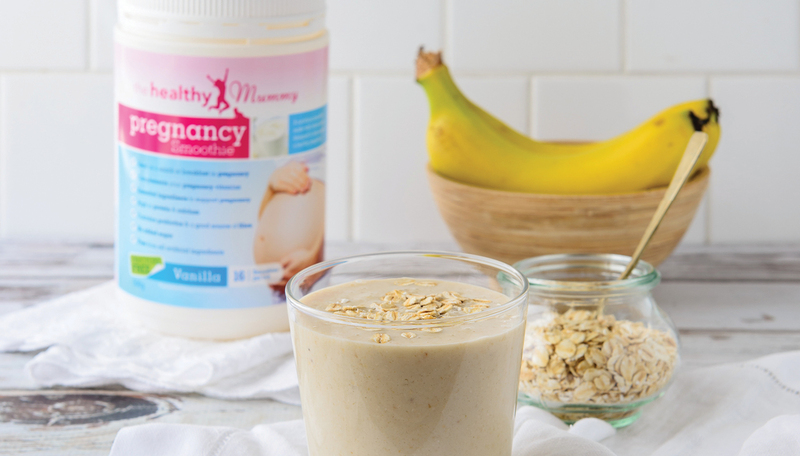 The Healthy Mummy Pregnancy Smoothie is a convenient and nutritious supplementary drink. Our Pregnancy Smoothie can help you meet the increased nutritional requirements of pregnant women. The Pregnancy Smoothie is made from whole foods, is high in protein and calcium, contains probiotics and is a good source of fibre. 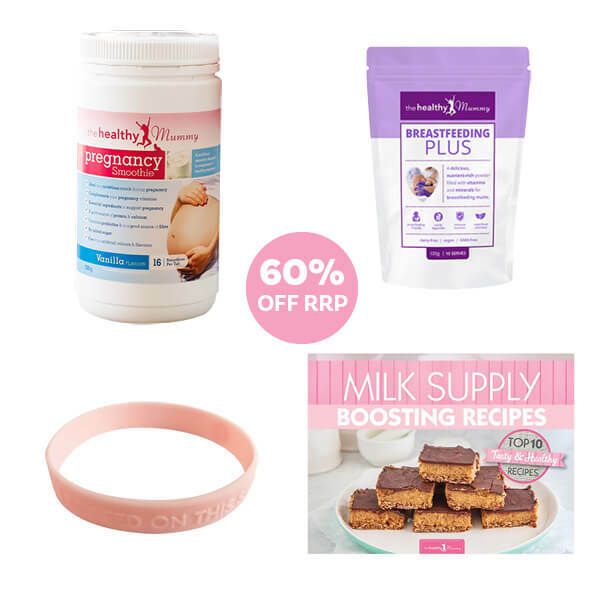 How Can The Pregnancy Smoothie Help You? Additional nutrients and calories are needed in pregnancy to support the mum and the baby. Our smoothie is a convenient and tasty way to increase your calories in pregnancy whilst nourishing your body. If you are suffering from morning sickness and find eating food difficult – the smoothie is a great way to nourish your body with a easy to drink smoothie. It also contains ginger which helps to ease nausea. If you are feeling exhausted, the smoothie is a nutrient dense snack high in protein, B vitamins and low constipation iron to help keep energy levels up. If you are struggling to find the time or energy to eat nutrient dense and healthy foods then the smoothie will be a great help. You could also have it as a quick breakfast by adding fruit, oats and vegetables to your smoothie to further increase calories. The pregnancy smoothie is also free of all chemicals, fillers and artificial ingredients, has no fructose in, no added sugar and uses high quality dairy protein sourced from grass fed cows in New Zealand. During pregnancy the nutritional demands on your body are greater in support of the growing baby along with alterations in maternal tissues and metabolism. The requirements of protein and nutrients, particularly folate, iodine, calcium, iron and zinc are higher. During the second and third trimester additional protein is required for the growth of foetal, placental and maternal tissues, and estimated energy requirements are also higher. “The Smoothie is an easy and convenient way for pregnant women to get their intake of essential vitamins required during pregnancy. Having a Healthy Mummy Pregnancy Smoothie is an easy way to give you energy and help you glow. “As pregnancy is one of my specialist areas, I was eager to see the Healthy Mummy Pregnancy Smoothie. After studying the ingredients I would not hesitate to recommend it to my clients. In fact, I would probably prescribe it! 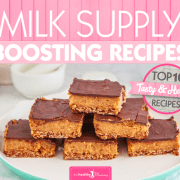 It has a great formula, with about 100 calories per serve (not including ingredients you combine it with) and it is a perfect snack. Breastfeeding can be a difficult journey for a lot of new mothers – and there aren’t many mums who don’t question, at least once, whether they are producing enough milk for their growing bub! 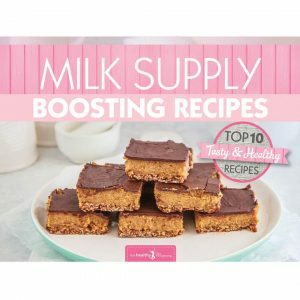 The Healthy Mummy team are all about making things easier and more delicious for mums, so we’ve incorporated these tried-and-tested ingredients into yummy recipes. 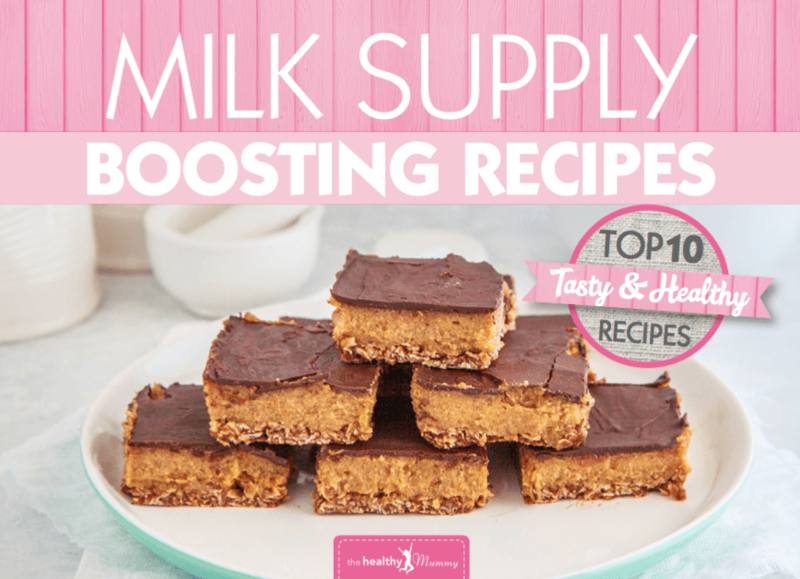 Give your milk supply a nutritious boost, while also lifting your mood with a scrumptious treat. Because you deserve it! Buy your copy today, or you can access ALL 40 of our Healthy Mummy books from just $10/month with our eBook membership – get more details here! The Healthy Mummy Breastfeeding Nursing Bracelet is a perfect way to remember which side you last fed your baby on. 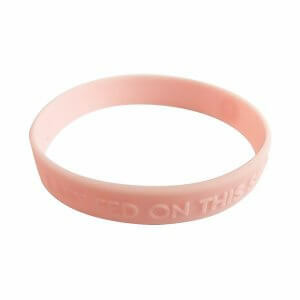 These designed nursing bracelet enables you to quickly and conveniently identify which breast you last used. The pink breastfeeding bracelet reads ‘LAST FED ON THIS SIDE’. 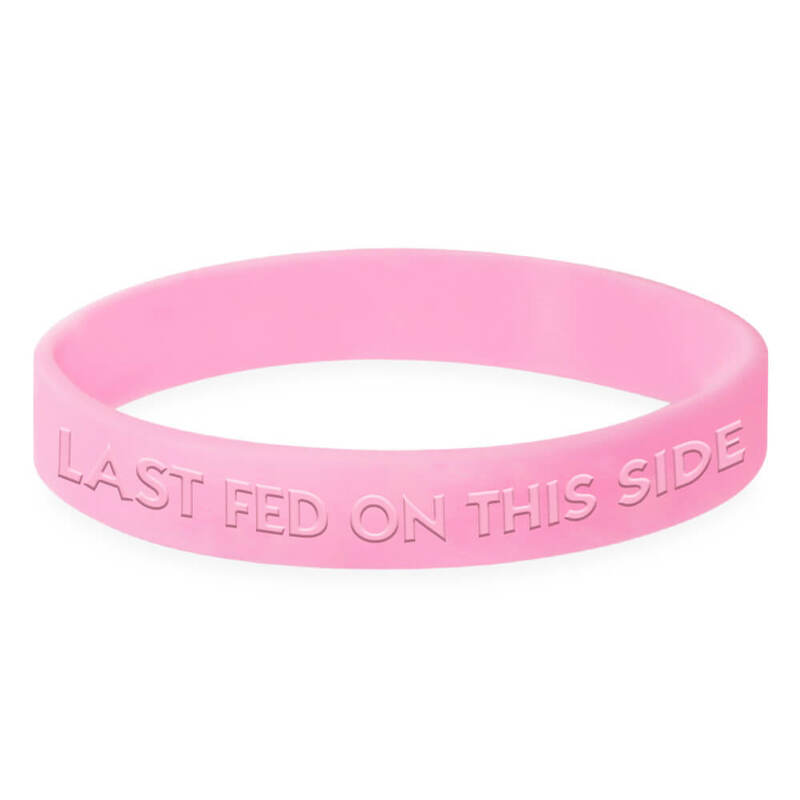 Just place it over your wrist on the last side that you fed your gorgeous baby on. Then no need to worry about what side to start with for the next feed! One less thing to worry about, which we all love when you’re a MUM!